Search for a Physician by clicking on a specialty below. Specialty care of habit-forming disorders (especially alcohol or narcotic drugs). Specialty care for diseases and conditions of the heart. Specialty Care for diseases and conditions of the skin. Specialty care for diseases and conditions associated with hormone function. Primary care for individuals of all ages. Specialty care for diseases and conditions of the digestive system. 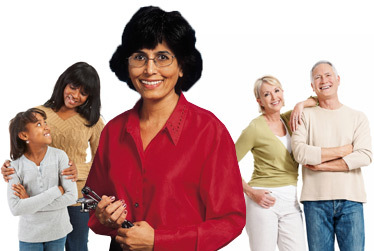 Assistance, guidance and medical care for aging adults. The diagnosis, treatment and prevention of blood diseases (hematology) and cancer (oncology) and research into them. Hematology-oncology includes such diseases as iron deficency anemia, hemophilia, sickle cell disease, the thalassemias, leukemias and lymphomas,as well as cancers of other organs. Clinic that specializes in the virus that causes acquired immune deficiency syndrome (AIDS). Medical care treating the mind as well as the body. A health-care program for the terminally ill that emphasizes pain control and emotional support. The Hospitals only medical care provider of acutely ill hospitalized patients. Specialty care for infectious, immunologic and allergy disorders. A procedure in which specific body areas are pierced with fine needles for therapeutic purposes. Specialty care for diseases and conditions of the kidneys. Specialty care for diseases and conditions of the brain and nervous system. Primary care for diseases and conditions of the female reproductive system, including pregnancy and childbirth. Commonly called ENT, treatment of diseases and disorders of the ear, nose and throat (ENT). Primary care specifically for infants, children and adolescents. known as physiatry, is a branch of medicine that aims to enhance and restore functional ability and quality of life to those with physical impairments or disabilities. A physician having completed training in this field may be referred to as a physiatrist. Physiatrists specialize in restoring optimal function to people with injuries to the muscles, bones, ligaments, or nervous system. Care with the treatment of mental disorders. Specialty care of mental life. Specialty care for the diseases and conditions of the musculoskeletal system. The branch of surgery concerned with conditions involving the musculoskeletal system. Orthopedic surgeons use both surgical and non-surgical means to treat musculoskeletal trauma, sports injuries, degenerative diseases, infections, tumors and congential disorders. specialist (HPB) provides treatment for patients with primary and metastatic cancers of the liver, gallbladder, bile duct and pancreas and also treats benign disease including cysts, biliary strictures and bile duct injuries. Wayne, Edgar, M., ii, M.D. Adams, John D., Jr., D.O. De La Rosa, Pedro, M.D. Tran, Ngoc Tram Gia, D.O.